****More photos coming soon. This Sienna will be fully serviced and detailed. **** Just in on trade from one of our local customers! Richmond Car and Truck Center is excited to offer this 2012 Toyota Sienna XLE. 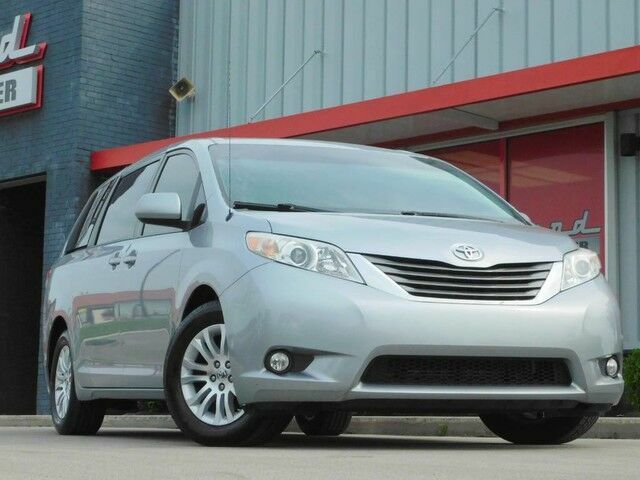 This Toyota Sienna XLE looks great with a Silver Sky Metallic exterior and Light Gray Leather interior. This Toyota Sienna XLE is well equipped with features like Front Fog Lamps, Roof Rails, Bluetooth Connectivity, Voice Activated Control, Rear Backup Camera, Dual Climate Control, Heated Front Seats, USB/AUX Connection, Power Driver/Passenger Side Sliding Door, Power Sunroof, and Rear DVD Entertainment. Take comfort in knowing Carfax affirms only two previous owners, one noted minor incident and it comes with the 100% Carfax Buyback Guarantee!. Due to our pricing our vehicles sell pretty quick, so call ahead to be sure of availability! This Toyota Sienna XLE has been quality inspected, fully serviced, and ready for delivery at Richmond Car and Truck Center of Richmond, Ky.